"Do not let the ingredients scare you! 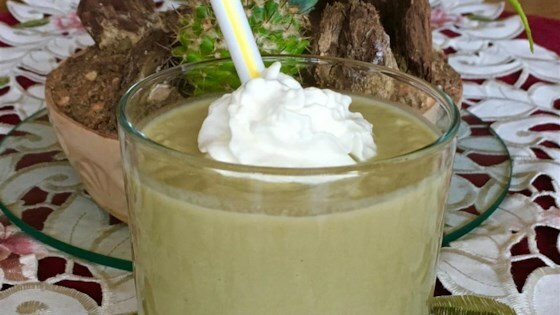 This antioxidant-rich smoothie will brighten your skin, fill you up, and taste like the most delicious smoothie you've ever had! Add additional milk if desired." Combine almond milk, avocado, and honey in a blender; blend until smooth. Feel free to substitute almond milk for skim milk, coconut milk, or flaxseed milk! When I took the first sip of this smoothie, I didn't care for it. But the more I drank, the better it tasted. It was ok but I didn't like it enough to make it again.